Whenever I hear someone say that responsive design isn’t always appropriate I wonder if they truly understand the reasons for designing responsively or how to actually go about creating a responsive site. A little over a month ago Hiroki Takeuchi offered a post for why GoCardless ditched responsive design when redesigning their site. Elliot Jay Stocks followed with a post about why that made him sad, while arguing in favor of RWD. This was followed up a week later by Andy Appleton another of the GoCardless developers, suggesting that responsive design isn’t always appropriate. Give all 3 posts a quick read if you haven’t seen them yet. My favorite, of course, would be Elliot’s since I agree completely with what he said, though do read the other 2 as well to understand the arguments against RWD. Hiroki offered 3 points for why GoCardless decided not to go responsive. Once you accept the change in mindset, which I can understand isn’t the easiest thing to do, a responsive site takes a similar amount of time to design and develop as a static site. Designing responsively doesn’t mean you create different designs for different devices. It means you create a single design that works well for multiple devices under multiple conditions. Elliot’s post offers more details against each of the arguments and once again I encourage you to read it. Andy’s follow up makes a different argument. He suggests that an information heavy site could provide a better experience by presenting all of that information on the screen and having visitors zoom in and out to find the content they want. Unless you plan to build a dedicated site for every device and circumstance, at least one of your designs should be responsive. I can’t speak for others (though a number of comments on Andy’s post will agree with me), but I’m more likely to leave than pinch and zoom or double tap to read your content. Zooming is a better experience than what we had before, but it’s generally not a good experience. At least for me and some of the people commenting on Andy’s post. While I don’t have universal stats to support the above, I will again offer my own stats that showed mobile traffic went up 300% after a responsive redesign. The time this traffic has spent on the site has also increased considerably. People using tablets spend about 20% more time on the site. Not a huge increase, though at tablets sizes there’s not as much pinching and zooming needed. On smartphones where there is a big difference, time on site is up 520%. The points above aren’t really why I’m writing this post though. The main argument I see against responsive design is that sometimes a dedicated mobile version of the site is appropriate. I agree. 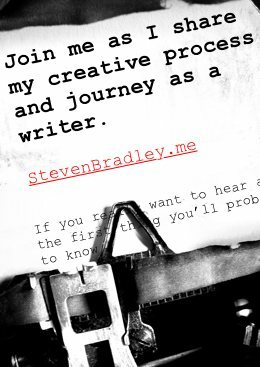 Sometimes it absolutely makes sense to create a mobile version of a site. When did the two become mutually exclusive, though? A responsive deign doesn’t mean a design that works on a desktop and on mobile devices. A responsive design should certainly work on both, but that’s not the definition of responsive. You can create a dedicated mobile version of a site and still have a responsive site. Responsive design is the new baseline. Why is this so difficult to understand? Unless you plan to build a dedicated site for every possible device and circumstance, at least one of your designs should be responsive. For most sites that one responsive design will be enough. For some a dedicated site for a particular device will make sense. The reality is there are already more devices being used than you’re ever going to design for and more are coming. There’s zero chance you can predict all the devices that will be created between now and the end of life of your design. Off the top of my head here are some different categories of devices that someone might use to visit your site. The last one might be a stretch, but is it really hard to imagine people surfing the web on a screen built into the door of their fridge? I didn’t even include wearable devices like Google Glass and the rumored iWatch. The reality is you have no idea what devices and under what circumstances people are going to be visiting. Depending on your site, it could make sense to design something dedicated for a particular site. When refrigerators are all built with an internet connected screen, I’d probably create a version of my recipe site tailored to one, but are you really going to tell me that you plan on designing a dedicated version of your site for every conceivable device that might access it? For all the devices for which you don’t build a dedicated site (which will be most of them) you have responsive design. It’s your new foundation. It’s the baseline, a catchall design for all the devices and configurations you don’t specifically design for. Once your responsive design is in place, by all means create a dedicated site if appropriate for smartphones or tablets or whatever, but don’t assume it means you shouldn’t have a responsive design in place too. Think progressive enhancement. Your responsive design is the new minimum. Make sure you have something in place that works across as many devices and conditions as possible. Then build dedicated sites on top of that minimum wherever you think it makes sense. Please stop saying a responsive design may not be appropriate. In a world with an ever growing number of internet connected devices it’s always appropriate. There are times when building a dedicated version of a site for a phone or tablet or game console makes sense. However, it’s not an either/or choice between responsive and mobile. It’s responsive + whatever dedicated design you think appropriate for your site. Responsive design is the new baseline. It’s the new foundation for building a site and it serves as a catchall for everything you don’t specifically design for, which will include far more devices than you will design for. Many sites will never need more than this baseline. Those that do will create device specific designs to enhance the responsive one, not replace it. Thanks Matt. I love that quote by Andy. I think it really talks to what we face as web designers. For years we’ve tried to treat the web as though it were print. I think that’s understandable, but the web isn’t print and the inherent quality we have to embrace is the flexibility of the medium. Can I suggest this reading? Nothing in the article changes my mind or even goes against what I’m saying here. I’m not suggesting that you shouldn’t create a dedicated mobile site. What I’m saying is that you aren’t going to create a site dedicated to every conceivable device and configuration. Let’s say you do decide to create two designs, one of which is specifically for mobile. The other design should then be responsive for everything else. Yes, yes, yes! Agree 100%. I’ve yet to see a single good argument against responsive design. As I commented on Andy Appleton’s post, the decision to go fixed width damaged UX, not improved it. It seems to me that decision was based mostly on the desire to have visitors see more of the ‘pretty design’ rather than any actual user experience concerns. Thanks Seth. I can understand why designers went fixed-width. We were learning from what came before, which was print where the canvas is fixed. I think it was a natural starting point for designing on the web. We’ve reached the point though, where we finally realize the web isn’t print and while we can still learn quite a lot from print, there are some fundamental differences we need to accept and design for. I’ve yet to see a good argument against responsive design either. Most come across to me like the arguments against css in favor of tables. It’s usually that the person arguing is either clinging to the familiar or hasn’t taken the time to understand the new. It depends how much is part. I wouldn’t want you copying most of what’s here, but I certainly don’t mind if you quote small parts or use a paragraph or three and then link back. It depends what you mean by complex. What I’m saying is to create a minimal responsive design isn’t as hard as some people make it out to seem. Use relative measurements instead of absolute measurements. Sets images and media to max-width: 100% and height: auto, and make a few adjustments at a couple of key breakpoints and you have a responsive site. I’m not suggesting doing the above makes for the best responsive solution, but it does make for a responsive solution that’s better than having no responsive solution and it doesn’t take significantly more time to create. I all for RWD, I’m working on one right now. but I 100% disagree with “a responsive site takes a similar amount of time to design and develop as a static site”. RWD requires additional Media Queries, and additional CSS inside those MQ’s. More code = more time, it may only be a day more… or a week more depending on the size of project, but more billable time regardless. Not strictly true, most uses of RWD skimp on design and concentrate on responsive. So they save time for additional code to add in that extra CSS. Responsive sites haven’t been graphics heavy, but I don’t know that means they skimp on design. I think people are using less graphics and eye candy in part because of responsive, but in part because there’s a change in style going on too. Similar doesn’t mean the same. As I said in the comment above, you don’t necessarily need a lot of code to make something responsive. Obviously it depends on the design, but there doesn’t have to be a lot of css in your media queries to make something responsive. What I think happens is we still build sites the way we have and then try to make them responsive. However the way we were building them isn’t necessarily the best approach and so it might require more work. Once you’ve developed several responsive sites you start to see ways where you can develop them quicker. I think once we get used to responsive design and can change our mindset going in, they don’t take as long as we initially think they will. They’re different and the extra time is us dealing with that difference. In a couple of years the extra time to deal with that difference will be gone. Simply put, thank you for writing this. I was going to publish a similar article to this myself the other day before my laptop decided that I wasn’t allowed to save my work. Yours is by far better anyway and goes into more detail than mine did. At the end of the day the web has always been fluid, and I think it is past time everybody accepted this so we can worry about more important issue than whether we should be using responsive design or not. Do people browse the web using more than one device? Yes. Responsive it is then. Ouch, what happened to the laptop? Nothing serious I hope other than the loss of saved work. So true about the web being fluid. It wasn’t always easy to deal with so we dealt with it by pretending it wasn’t fluid. It worked for awhile, but isn’t going to anymore. Like you said people are going to use many devices. We really don’t have a choice. 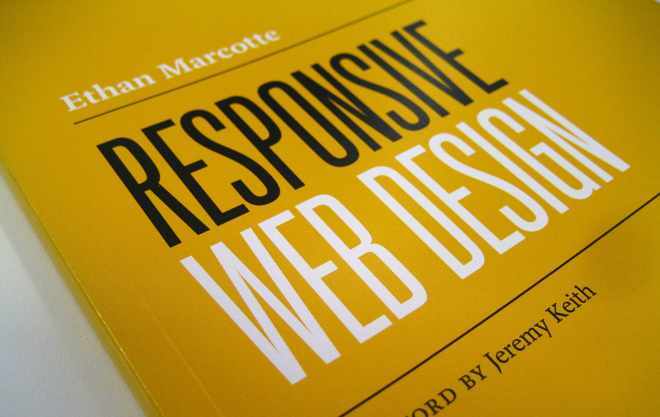 We have to design responsively.